what many of us encounter……memories and relics of our ancestors’ lives. We all felt drawn into the magic of the conversation, the questions you raised and your deep love for your parents. Your voice is capable of breathing life into an amazing range of songs. 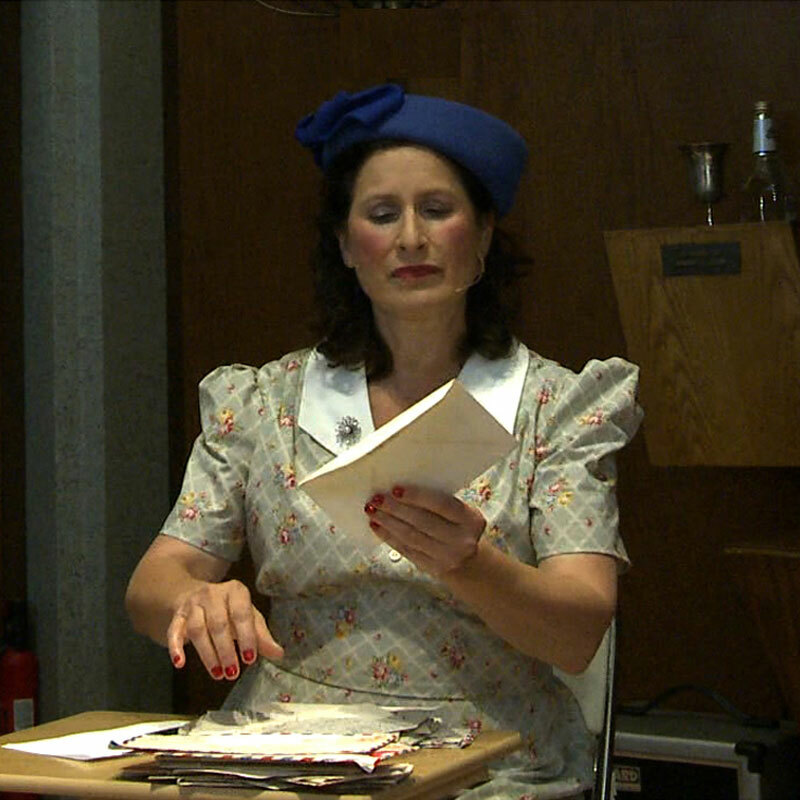 Through letters lost and found, a daughter explores her family’s parallel lives during WWII on both sides of the ocean, featuring songs of the 1940’s from America and abroad. When my parents died in 2010 within weeks of each other, I found hundreds of over-the-top love letters that they wrote over their 70-year marriage starting before the outbreak of WWII. Completely fascinated and curious, I felt compelled to embody their early innocence and dreams juxtaposed to the struggles of my relatives who lived in the Warsaw ghetto.